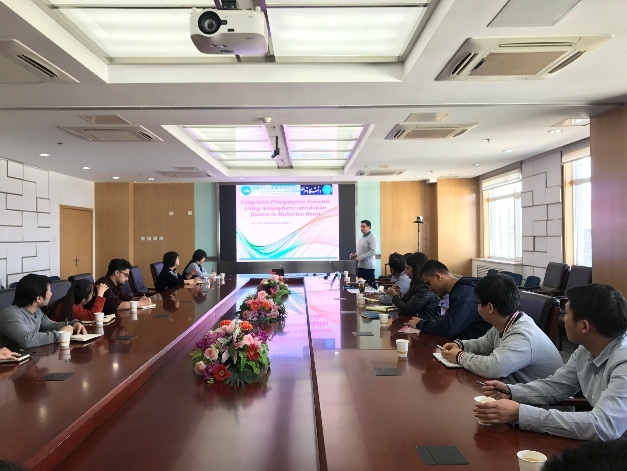 On March 22, 2019, Head of Department of Arid and Mountainous Regions reclamation, Associate professor Shahram Khalighi Sigaroodi from the University of Tehran, Iran, was invited to visit to the Institute of Tibetan Plateau Research and give an academic seminar, under the invitation of Prof. Zhang Fan from the Key Laboratory of Tibetan Environment Changes and Land Surface Processes, Chinese Academy of Sciences (TEL). 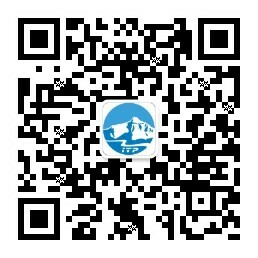 Researchers and students from China, Iran, India, Nepal and Pakistan participated the seminar. 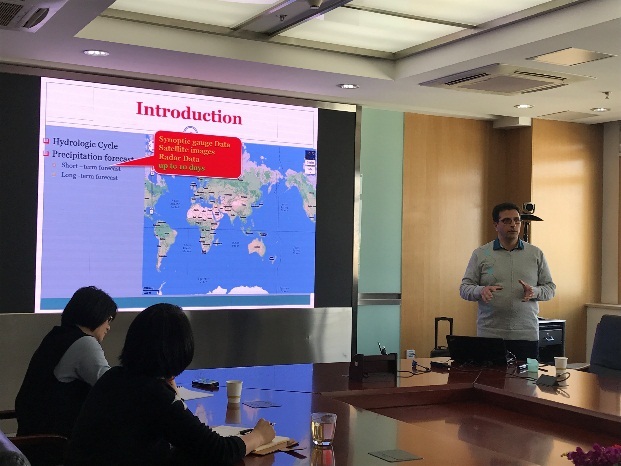 The title of Associate Professor Sigaroodi's seminar was “Long-term Precipitation Forecast Using Atmospheric Circulation Factors”. He first introduced the importance of long-term precipitation forecasting. Many human activities, such as agriculture and hydropower, depend on rainfall. Long-term precipitation forecasts can suggest appropriate water management recommendations to help reduce the risk of drought in the region. The research area is located in the saltwater Maharloo Lake in southern Iran, which has been affected by drought for a long time. In this study, artificial neural network (ANN) and multiple regression stepwise methods were used to predict precipitation and the results were compared with the observed weather station data. The results show that the rainfall prediction result of the ANN model is better than the multiple regression model. The prediction accuracy of the dry season (June-October) is higher than other seasons. This study can provide a reasonable reference for regional precipitation prediction. After the seminar, Associate Professor Sigaroodi and the participants discussed about prediction of the rainfall in other regions.